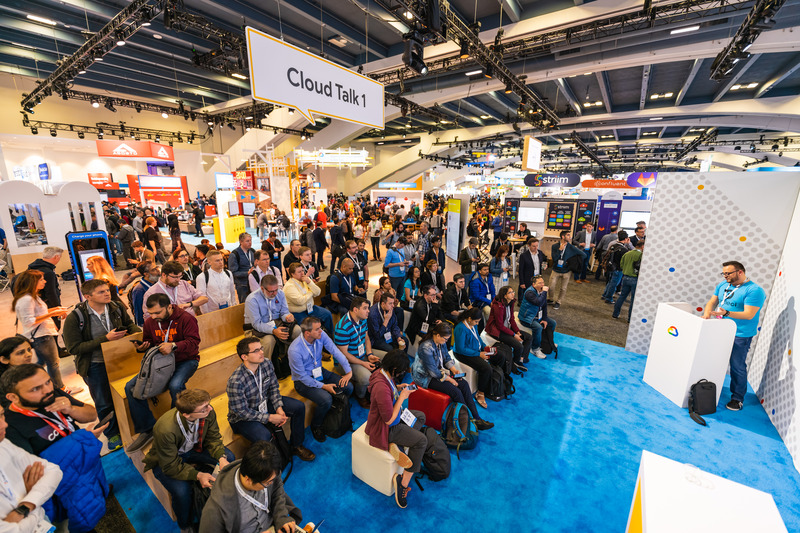 At this week’s Google Cloud Next ’19, we’re joining partners and customers to learn together and make connections. Yesterday, we talked about the ways we're helping you modernize—on premises, in the cloud, or a combination of both. Today is all about what’s possible once you’re in the cloud, whether that’s moving legacy servers easily to cloud, improving contact center experiences with AI, connecting colleagues with email and chat, or optimizing transportation routes. Here’s a look at our broad range of announcements spanning security and identity, productivity and collaboration, data management, analytics, and AI. Security is at the core of everything we do, and it continues to be a major focus of Google Cloud. Today’s announcements are all designed to bring you more visibility and more control over your security environment and help you adopt the BeyondCorp security model to improve IT, developer, and end-user efficiency. Access Transparency (new GA and beta services, GA for G Suite) and Access Approval (beta) give you meaningful oversight over provider operations. Data Loss Prevention (DLP) user interface (beta) and Virtual Private Cloud (VPC) Service Controls (GA) help you prevent data exfiltration and risk. Cloud Security Command Center (GA) with new Event Threat Detection (beta), Security Health Analytics (alpha), Cloud Security Scanner (new beta integrations) and Stackdriver Incident Response and Management (coming soon to beta) help you centralize security management. Apigee security reporting (beta) offers visibility into the security status of your APIs. Container Registry vulnerability scanning (GA), Binary Authorization (GA), GKE Sandbox (beta), Managed SSL Certificates for GKE (beta), and Shielded VMs (GA) help you secure your software supply chain. Control and protect G Suite data with G Suite data regions enhancements (GA), enhanced advanced phishing and malware protections (beta), security sandbox (beta), security center, and alert center admin collaboration and automation (beta). Policy Intelligence (alpha) helps you gain meaningful security insights using ML. Phishing Protection (beta) and reCAPTCHA Enterprise (beta) help businesses stay safe on the web. Context-aware access enhancements, including the launch of BeyondCorp Alliance, help you define and enforce granular access to apps and infrastructure based on a user’s identity and the context of their request. Android phone’s built-in security key—the strongest defense against phishing—is now available on your phone. Cloud Identity enhancements include single sign-on to thousands of additional apps and integration with human resource management systems (HRMS). General availability of Identity Platform, which you can use to add identity management functionality to your own apps and services. An organization’s ability to manage data scalably, reliably, and securely is critical to its success. GCP offers a broad set of capabilities to help you manage data for the most widely used workloads today, both analytical and operational, so you can make your data work for you and deliver great customer experiences. Coming soon to Google Cloud: bring your existing SQL Server workloads to GCP and run them in a fully managed database service. CloudSQL for PostgreSQL now supports version 11, with useful new features like partitioning improvements, stored procedures, and more parallelism. Cloud Bigtable multi-region replication is now generally available, giving you the flexibility to make your data available across a region or worldwide as demanded by your app. A new low-cost archive class for Cloud Storage offers the same consistent API as other classes of Cloud Storage and millisecond latency to access your content. Cloud Filestore, our managed file storage system, is now generally available for high-performance storage needs. Regional Persistent Disks will be generally available next week, providing active-active disk replication across two zones in the same region. Bucket Policy Only is now in beta for Google Cloud Storage, so you can enforce Cloud IAM policies at the bucket level for consistent and uniform access control for your Cloud Storage buckets. V4 signatures are now available in beta for Google Cloud Storage to provide improved security and let you access multiple object stores using the same application code. In addition to HMAC keys, V4 signed requests are also supported for Google RSA keys. Cloud IAM roles are now available for Transfer Service, allowing security and IT administrators to use Cloud IAM permissions for creating, reading, updating, and deleting transfer jobs. Traffic Director delivers configuration and traffic control intelligence to sidecar service proxies, providing global resiliency for your services by allowing you to deploy application instances in multiple Google Cloud regions. High Availability VPN and 100 Gbps Cloud Interconnect lets you connect your on-premises deployment to GCP VPC with an industry-leading SLA of 99.99% service availability at general availability. Private Google Access from on-premises to the cloud is now generally available, allowing you to securely use Google services like Cloud Storage and BigQuery as well as third-party SaaS through Cloud Interconnect or VPN. With Network Service Tiers, you can customize your network for performance or price on a per-workload basis by selecting Premium or Standard Tier. We want to make it easier for businesses to find meaningful insights from data, so we’re radically simplifying how you move data into the cloud, expanding our data warehouse capabilities, and expanding the tools you can use to apply AI and machine learning. Data Fusion (beta) is a fully managed and cloud-native data integration service so you can easily ingest and integrate data from various sources into BigQuery. BigQuery DTS now supports 100+ SaaS apps, enabling you to lay the foundation for a data warehouse without writing a single line of code. Cloud Dataflow SQL (public alpha) lets you build pipelines using familiar SQL for unified batch and stream data processing. Dataflow Flexible Resource Scheduling (FlexRS), in beta, lets you schedule batch processing jobs with flexibility for cost savings. BigQuery BI Engine, in beta, is an in-memory analysis service that lets you visually analyze and interact with large or complex data almost immediately. Connected Sheets are a new type of spreadsheet that combine the simplicity of a spreadsheet interface with the power of BigQuery. With a few clicks, you can visualize data as a dashboard in Sheets and securely share it with anyone in your organization. BigQuery ML will soon be generally available, with support for additional models to build customer segmentations and product recommendations. AutoML Tables, in beta, lets you build and deploy state-of-the-art machine learning models on structured data in just a few clicks, without writing a single line of code. Cloud Data Catalog (beta), a fully managed metadata discovery and management platform, helps organizations quickly discover, manage, secure, and understand their data assets. AI Platform, in beta, helps teams prepare, build, run, and manage ML projects via the same shared interface. 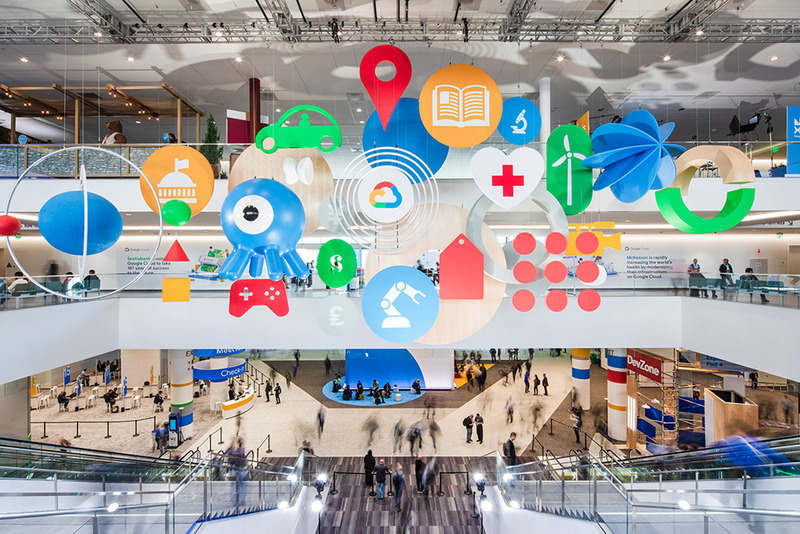 By leveraging these Google Cloud technologies with Apigee, developers can speed the time to market for their API products while promoting maximum security and scalability. See the full list of extensions here. Our updates to G Suite bring together everyone at work, no matter where they are, what device they’re using, or in what context, aided by the benefits of Google AI. Google Assistant is integrating with Calendar, in beta, to help you know when and where your next meeting is, and stay on top of scheduling changes. G Suite Add-ons, coming soon to beta, let you access your favorite workplace apps in the G Suite side panel to complete tasks, instead of toggling between multiple apps and tabs. Third-party Cloud Search is now generally available for eligible customers to help employees search—and find—digital assets and people in their company. Learn more. Drive metadata, in beta, lets G Suite admins and their delegates create metadata categories and taxonomies to make content more discoverable in search. Hangouts Meet updates, including automatic live captions in Google Slides which displays a presenter’s words in real-time at the bottom of the screen (generally available), as well as the ability to make live streaming in Meet “public” and for up to 250 people to join a single meeting (both coming soon). Learn more. Google Voice for G Suite, now generally available, is a cloud telephony service that gives you a phone number that works from anywhere on any device. Learn more. We’re bringing Hangouts Chat into Gmail (beta) so your team communications can easily be accessed in one place on your desktop. Microsoft Office editing in Google Docs, Slides and Sheets, now generally available, lets you work on Office files straight from G Suite without having to worry about converting file types. Learn more in our Help Center article. Visitor sharing in Google Drive, in beta, provides a simple way for you to invite others outside of your organization to collaborate on files in G Suite using PIN codes. Learn more. Currents (beta), the new name for the enterprise version of Google+, helps employees share ideas and engage in meaningful discussions with others across their organization. Read more or visit our website for details. We’re offering new features and services to help those of you running Windows workloads take advantage of GCP’s leading infrastructure, data analytics and open-source innovations. For your Microsoft workloads, in addition to purchasing on-demand licenses from Google Cloud, you now have the flexibility to bring your existing licenses to GCP. Velostrata 4.2, our streaming migration tool, will soon give you the ability to specifically tag Microsoft workloads that require sole tenancy, and to automatically apply existing licenses. Coming soon, you’ll be able to use Managed Service for Microsoft Active Directory (AD), a highly available, hardened Google Cloud service running actual Microsoft AD, to manage your cloud-based AD-dependent workloads, automate AD server maintenance and security configuration, and extend your on-premises AD domain to the cloud. We’ve expanded Cloud SQL, our fully managed relational database server, to support Microsoft SQL Server, and we’ll be extending Anthos for hybrid deployments to Microsoft environments. As more enterprises move to the cloud, developers and operators have to adjust how they develop and manage applications. Google’s DevOps-inspired tools and services, and our Site Reliability Engineering (SRE) practices, help you bring automation to every phase of the software development lifecycle and to the tools you’re already using. Cloud Code extends VS Code and IntelliJ to bring all the power and convenience of Integrated Development Environments (IDEs) to creating cloud-native Kubernetes applications. We’re most of the way through Next, but there’s still so much to learn, discover, and share. We’re looking forward to an outstanding day three!